I received the proof of my book today. Proof of my book. 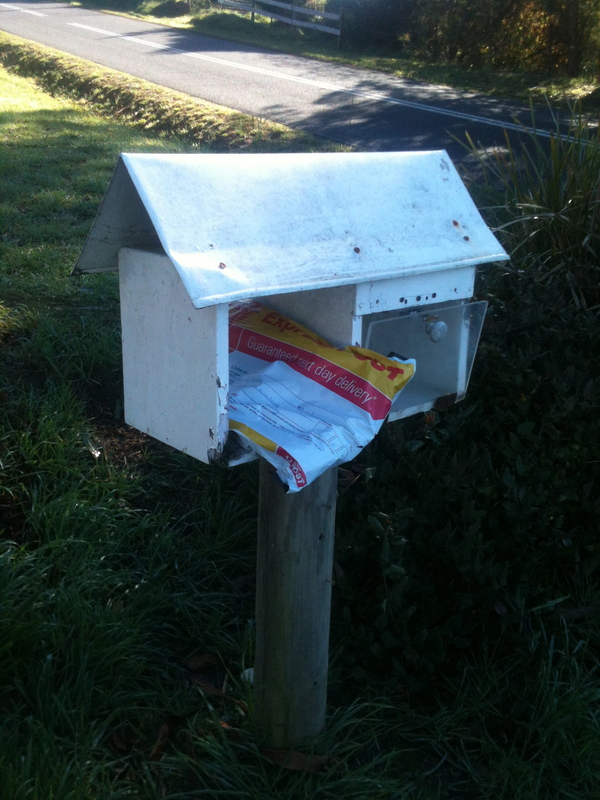 I saw the red and yellow stripes of the Express Post package poking out of the letterbox at the end of my driveway and ran down to fetch it. You could tell it was going to be a beautiful midwinter’s day because Tom the postman hadn’t tried to squeeze it inside the letterbox out of the rain. Proof of my book. I sat on the front steps in warm sunshine and purred like a cat before ripping open the package and seeing the first page: A Story of Seven Summers, “Proof Only”. Proof exactly. Proof that it really was being published and that it was too late to re-write anything. “We can only make essential corrections now,” confirmed the enclosed note from the editorial manager. It had 274 numbered pages and weighed 1384 grams. And when the book is finally published on September 1st this year, it will be exactly two years to the day that I first received the email from the publisher at Allen & Unwin inviting me to write it. I thought it would take six months to write but in fact it was three times as long. Actually, if you were to include all the journal notes that were really only written for me, it took seven years. As I sat on the concrete steps I liked how the book weighed in my lap and the sound of the pages as I flicked through them, stopping only for the slightest moment at a photograph or chapter heading. Stop now, I thought to myself. Don’t pick at it. Save the read for later, to savour it all at once. I had wondered, the whole way through writing, why anyone would be interested in reading what I had to say about my life. But I still sat for hours, weeks, months on end, to finally reach this point, today. Here, not printed yet, but a proof in my hands: 1384 grams. And with it comes a weightlessness. In the air, an intangible faith that someone else will want to feel the weight of this book in their lap and sit in the sun and know that they too can take a chance if they want to.